We interviewed Thibaut Candela from SILO Architects in Grenoble, France to hear more about the BAUX Designs in the Pôle d’Excellence Bois building. Tell us a bit about the project? Why did you choose BAUX? We discovered BAUX during the initial development stages of the project but we’d previously seen BAUX designs in different projects on architecture blogs. As the tiles were made from raw wood it seemed like an ideal opportunity to use them on this project. 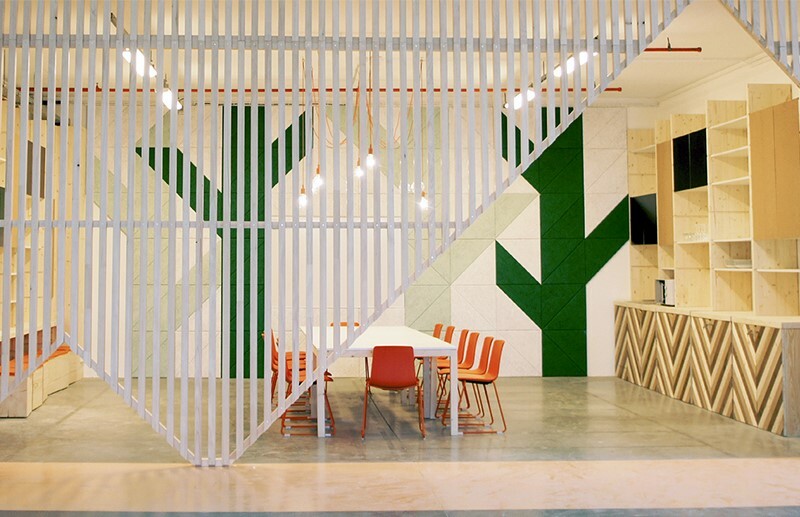 How did the BAUX designs transform the space? 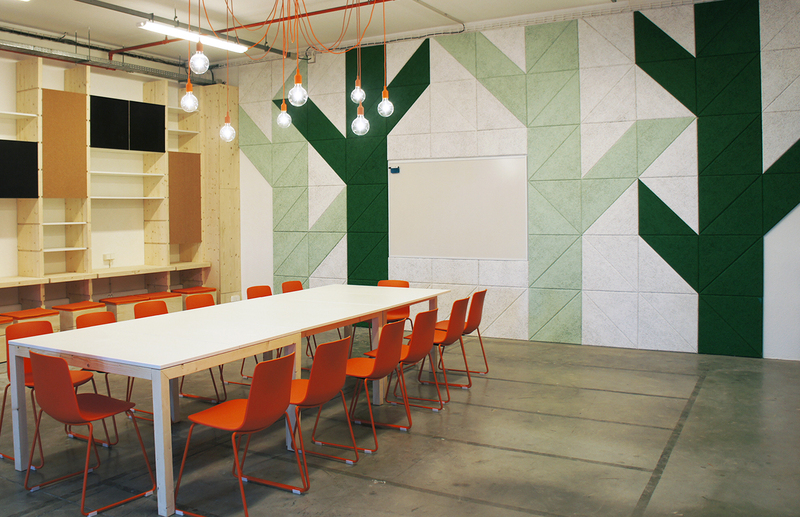 They created and better acoustic environment and the BAUX designs brought a colourful graphic dimension to the space. The triangular panels allowed us to create geometric patterns, re-interpreting the tree as a unified visual identity through out the space. The client is satisfied with the project, especially the graphic and acoustic aspects of the design. The colours and eco credentials of BAUX tiles tied in well with their brand identity. What would your dream BAUX project look like? Perhaps a room entirely covered with BAUX panels! Walls and ceiling! The geometry would challenge the perception of the given volume of a physical space.